Using the device of Samsung Galaxy Note 5 might be something that interesting since we can find a lot of good things and features of this device. That is including the camera which has a high quality and will be something exciting for any of you who love mobile-phone photography to explore and maximize it use. The camera of Galaxy Note 5 offers various features which you can enjoy. So, it does not only offer the particular great quality of the result of photos which are captured using his device but also offers the various types of the mode of the images which can be applied. Then, how to choose the image mode of the camera in order to improve the result to be in various modes and to be that fancy? What we need to do is choosing the button of ‘Mode’ in your Samsung Galaxy Note 5camera interface and of course you will find various options of the camera modes. 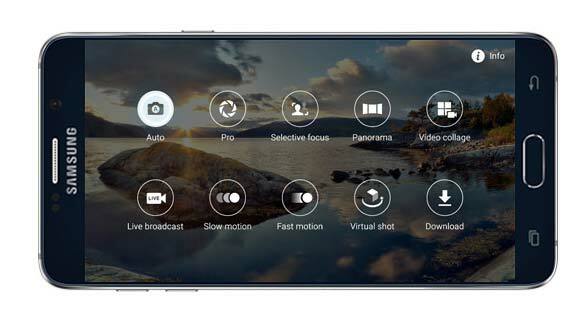 They are Pro-Mode, Live Broadcast, slow motion, and panorama. Not all of them are great to be applied for daily use but some of them are that perfect. Here are some tips which you can do for each of the camera modes that we have mentioned before. First, for the pro-mode, offers the totally control which is as you want. You can manage or et the shutter speed, EV, ISO, focal point, or even white balance manually just like using a professional camera. Then, if you want to share live the video, for example to YouTube, you can use the option of Live Broadcast. Another idea is when you are interested in making videos which can be slowed down by particular selection; you can choose the mode of slow motion. Another idea to use your Samsung Galaxy Note 5 camera for capturing the landscape photos, just hold your device in vertical and you can shoot the panorama mode camera.